MSNBC’s Chris Matthews conceded on Monday evening that most of the Central American migrants in the caravan are not eligible for asylum because they are economic migrants. MATTHEWS: There’s a lot of poverty south of our border. All the way down to Tierra del Fuego, there’s two-thirds of a billion people living down there. A lot of them are poor, desperately poor. Living in countries where there’s no freedom at all, and danger. So how do we regulate honestly, in an American way, acceptance of asylum seekers? How do we develop a profound, comprehensive immigration policy that we are proud of as Americans to enforce? Because at some point there is going to have to be enforcement. FRANCO: I do a lot of Spanish television, and I see these interviews and they’re heart breaking. There are people looking for jobs. That’s not a basis to seek political asylum. MATTHEWS: I know that. That’s the law. 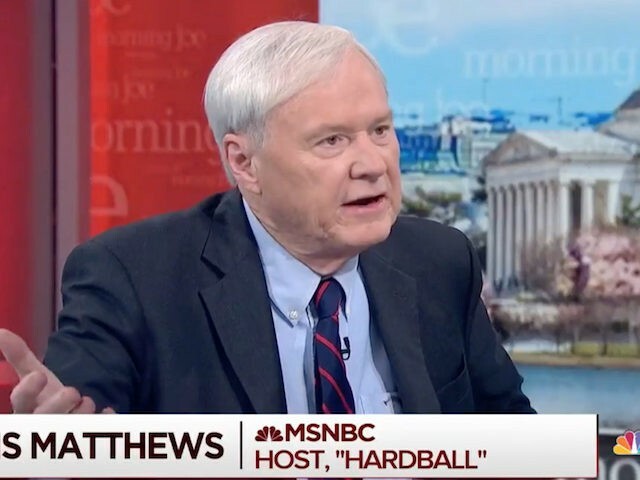 Before he had visions of becoming Pennsylvania’s next Senator and MSNBC’s lurch to the left, Matthews articulated the concerns of blue-collar workers better more than most in the mainstream media. And on Monday, he asked the Center for American Progress’s Neera Tanden if she just wanted to let all of the migrants into the country. 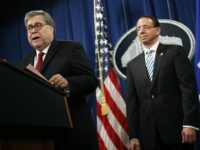 After Tanden accused President Donald Trump of inflaming the border crisis “to demagogue the issue,” Franco told the left-wing hack that he has been working on immigration issues for decades and she did not know the asylum laws. Breitbart News has been noting since the caravan formed that most of the migrants interviewed by establishment outlets like the Associated Press, NBC News, the Associated Press, Reuters, CBS News, the New York Times, and the Washington Post have revealed that they are coming to America to obtain jobs and not fleeing persecution. “They don’t meet the qualifications to get asylum here,” Scott said.